My whole life I have loved symbols. I collect sacred hearts, Tibetan endless knots, and prayer flags. But I don’t feel comfortable using them in my work. As someone without a religious education or upbringing, I don’t feel like I know enough about the context or meaning to throw in a Tibetan Endless knot into a jewelry design. Also, these religious traditions have had thousands of years to perfect their designs. They don’t need me coming along to update things. That’s why I love using my own symbols-images that are powerful and resonate with me but aren’t associated with a particular tradition. This way, they are more universal, everyone can connect with them. And it also feels more authentically me, like a gift I’m giving from a deep part of myself. This Autumn I’ve been thinking about what symbols we need most, and the idea of hope has come up a lot. I like the idea of a talisman to ground us to something more important than the daily political crisis or the overwhelming feelings of technology. So I’ve been sketching images that represent hope to me. I hope you find them as meaningful as I do. I can’t wait to take the next steps turning them into real life talismans. 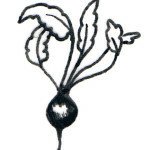 I have had a long relationship with the symbolism of the beet. It has rough skin that conceals secretly fuschia and sweet tasting flesh underground in the brown dirt. To me, it’s all about knowing your true self and being authentic in the midst of difficult conditions. 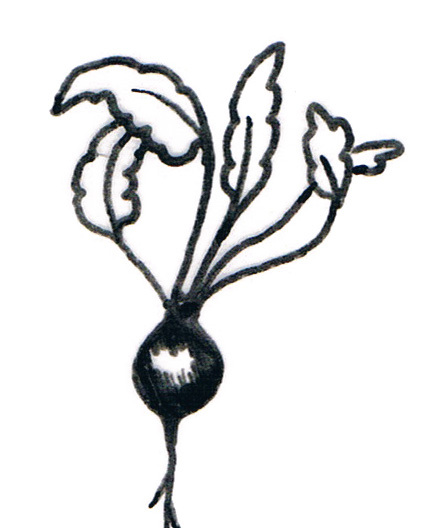 The author Tom Robbins also had a great fondness for the root vegetable : “The beet is the ancient ancestor of the autumn moon, bearded, buried, all but fossilized; the dark green sails of the grounded moon-boat stitched with veins of primordial plasma”. 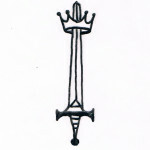 I connect to the symbolism of the sword through Tarot. I don’t think of it as violence, but as a talisman for cutting through lies and doublespeak. Being able to use judgement wisely and kindly is such a gift, and one that I associate with hope. This is because the more truth we are able to see, the more freedom we have. I’m currently working on cultivating this gift in myself. 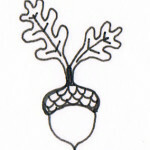 A symbol of potential, the acorn is the ultimate symbol of hope. 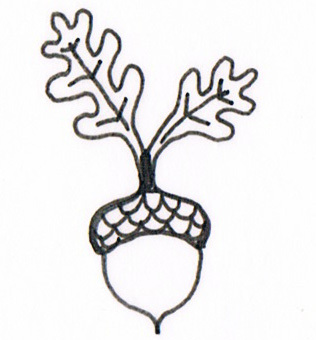 We can all learn from the acorn that we each are capable of greatness even though we are just one person. And also, growth takes time! I forget this one all the time. 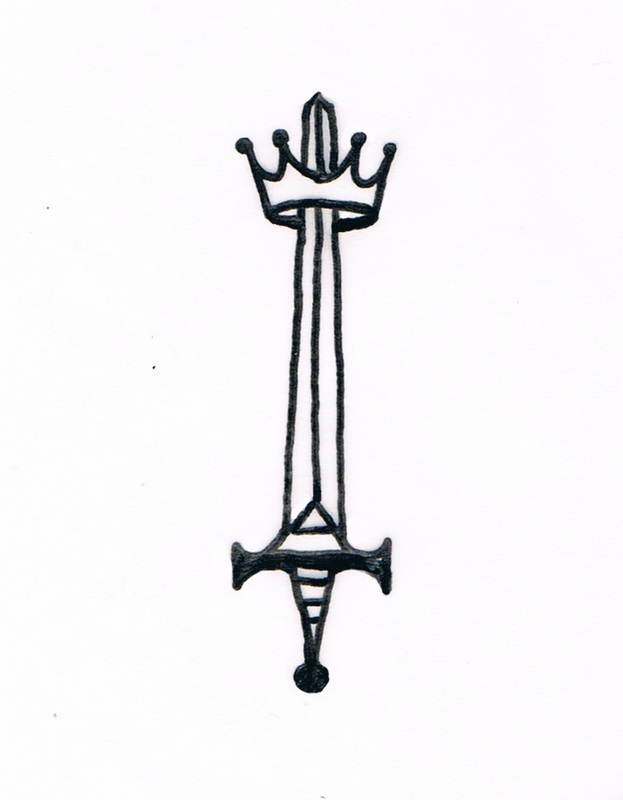 I’m so excited for these humble little drawings to become talismans to wear. I know these are my own interpretations for each symbol, but I look forward to hearing why you connect to them in your own way!